Retirement planning means different things to different people. For women, it especially has a different sense to it. The stakes can sometimes be higher, partly because they outlive their husbands more often than not. So not only are women more likely to become widows than their husbands to become widowers, there are also the many legalities and financial considerations at a time in their lives they’re least prepared. It’s only been in recent years that women have even become empowered to be included in the family finances, much less estate planning decisions. In fact, most of our grandmothers relied solely on the efforts of their husbands and if they outlived them, they didn’t shoulder the burdens, the attorney that represented their husbands were the ones who encouraged the widows to make this decision or not make that decision. Now, though, half of all women aged 75 or older live alone. Not only that, but the Centers for Disease Control predicts a woman’s life span will continue to grow, even as there are questions about whether men will keep up with these longer life predictions. Because 4 million of the 10 million women who are over the age of 55 in the U.S. are employed full time, there’s a lot at stake. 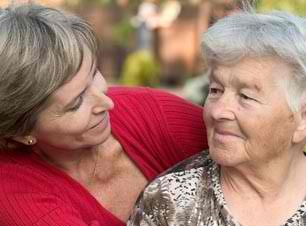 And did you know that women over the age of 65 make up a whopping 46 percent of the labor force in this country? It’s true and the National Education and Resource Center says it’s time these realities are addressed. The Administration on Aging (AoA), in partnership with the Women’s Institute for a Secure Retirement (WISER), maintains the National Education and Resource Center on Retirement Planning and Women so that financial education, along with financial education, is readily available. These tools can provide invaluable help as you prepare to sit down with your estate planning lawyer to hash out your long term financial goals after retirement – whether you’re married, divorced or widowed. Even now, women often have no idea as to where burial plots are located, how many insurance policies exist, bank balances or even how many bank accounts there are. Before you think to yourself that it’s too deep of a traditional mindset, you should know millions of women will tell you their goal over the years was raising their family. Their husbands may have managed the family’s finances from early on in their marriages. In fact, you might be surprised at the number of younger women who also share that sentiment. Of course, the first important piece of advice the US Department of Health and Human Services Administration on Aging (which is the home of the National Education and Resource Center) is that we all – men, women, older or under 65 – need to have a solid financial plan in place. We all have a responsibility to empower ourselves to ensure we understand the dynamics of Medicaid, Medicare and Social Security, but we must also understand the intricacies of day to day financing, especially if we’re widows whose husbands always handled those details.